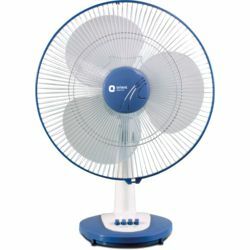 Meant for domestic use, Orient Electric Wall 49 fan comes complete with a remote control for ease of use. Some of the highlights of this wall fan include powerful motor for increased air delivery, touch screen panel for easy manual operation, powder coated guard and polymer ring for protection from corrosion, and thermal overload protection device to safeguard the motor. 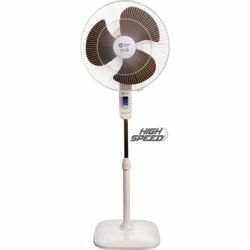 The remote control allows you to adjust the fan speed from a distance to offer you all the comfort you need. 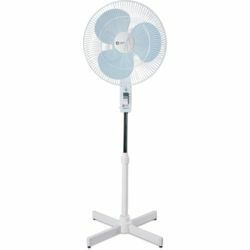 Meant for domestic use, Orient Electric Wall 49 fan comes complete with a remote control for ease of use. 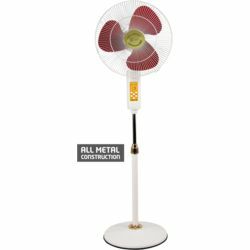 Some of the highlights of this wall fan include powerful motor for increased air delivery, touch screen panel for easy manual operation, powder coated guard and polymer ring for protection from corrosion, and thermal overload protection device to safeguard the motor. 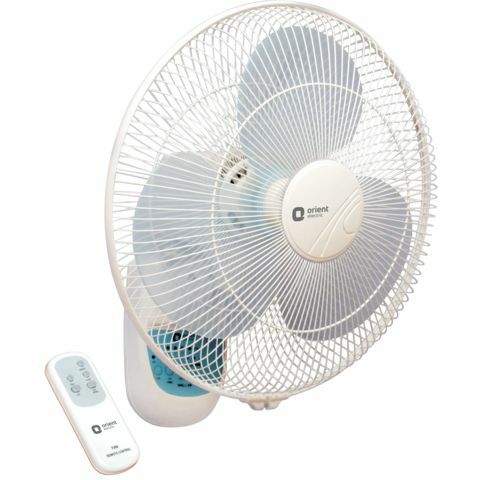 The remote control allows you to adjust the fan speed from a distance to offer you all the comfort you need.